Mobile users often wonder how to make a micro-sim from a SIM card. If you opened the SIM slot on the new iPhone, you should have noticed that this connector is much smaller than the standard one. These tiny cards are known as Micro-SIM. The new format is rapidly gaining popularity, but many mobile operators and mobile device manufacturers still use regular-sized SIM cards. Some tariff plans associated with conventional SIM are still very profitable. It is not possible to insert a regular SIM card into a reduced slot, but a solution is already provided for this problem. You can manually reduce the standard card, as a result of which it will turn into a microsym. 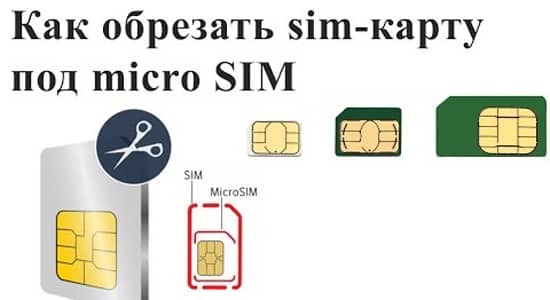 If you are interested in how to make a micro-sim card from an ordinary SIM card, then you need to keep in mind that this process is quite tedious and can take more than 10 minutes. In the case when you do not want to manually redo the card, you can buy a special kit called Micro SIM Cutter & Converter, consisting of 2 special devices that allow you to easily reduce the card to the desired format. You can order such a device in an online store (for example, Amazon). ruler, which may be needed if you do not have a microsymbol for the sample. 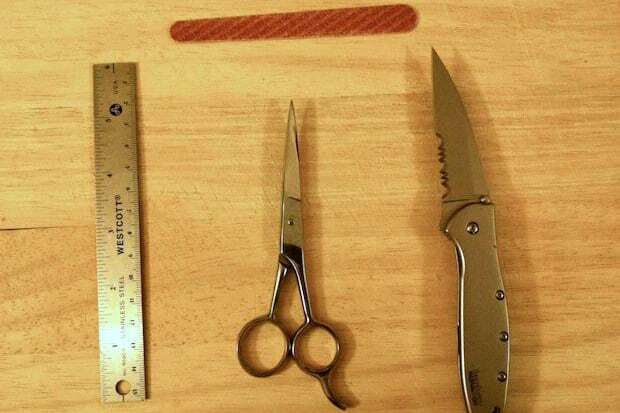 If the user wants to learn how to make a micro-SIM card from a conventional SIM card, then he doesn’t have to use the full set of tools, since in many cases it is possible to get by with scissors and a nail file. In some cases, you may need a ruler and a pencil, but you need to keep in mind that the components of different SIM-cards may vary in size. The only thing that coincides on all SIM cards is the location of the metal contacts. It is recommended to use a ready-made Micro-SIM card as a sample, since it can be quite difficult to make accurate measurements. 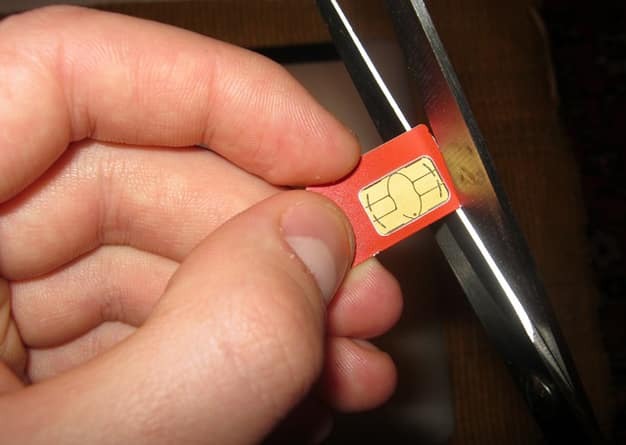 Cut the extra plastic on the sim card so that its dimensions are comparable to the Micro-SIM. In this case, you need to be careful not to damage the metal area. On some old maps, you may have to trim the edge of this area, but you should not allow the scissors to go beyond the first black line. The 3 contact points on the tip of the SIM card are the most important elements. On the converted SIM, they should be in the same position as on the factory Micro-SIM. Using a nail file, you need to polish the edges so that the card is easily inserted into the Micro-SIM slot. It is important not to overdo it, because the card should sit tightly in the slot, not loose. Now you can insert the modified SIM card into iPhone 4, 4S or any other compatible phone model. Within 30 seconds, it will become clear to you whether the conversion worked, because the mobile device will immediately start searching for the network and try to connect to it. No matter which phone model you use, the card must be activated. In the future, handset manufacturers and mobile operators will completely abandon conventional SIMs, so sooner or later you will still need to switch to a new standard. Appsgames⟾Miscellaneous⟾How to make a SIM card from a SIM card?